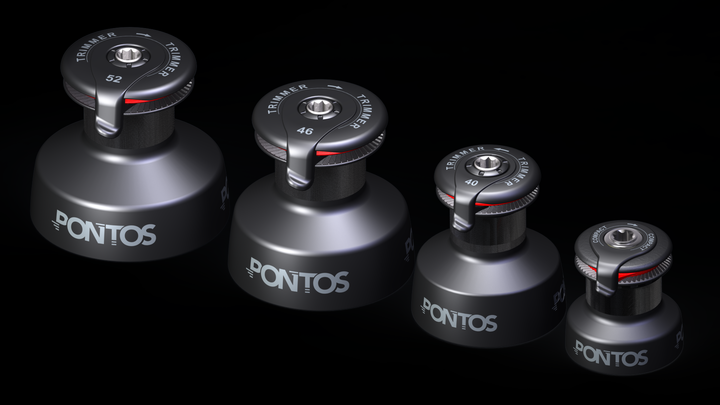 Pontos have developed an innovative range of winch products which will benefit sailors of all kinds, each product offering additional power or speed over the standard offering from other manufacturers. 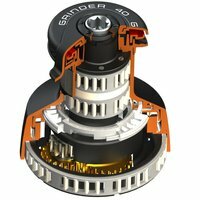 The revolutionary gearing system on the winches provide a real alternative to fitting expensive electric winches and all the complications which accompany them. We are proud to bring this range revolutionary new winch products from Pontos to sailors based in Scotland; the result of over 3 years research and development the Pontos range of winches have introduced a new standard in winches. 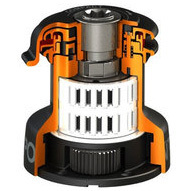 Providing greater line recovery speed rather than additional power the Pontos Grinder is aimed at those sailors looking for improved performance against a conventional two speed winch. With line recovery speed so fast there is no need to tail the sheet by hand as the boat tacks before locking it into the self tailer, you can simply use the winch from the start of the tack to the final trimming of the sail. The days of needing strong crew in the cockpit to operate the primary winches are over! View a full technical specification for the Pontos Grinder.